I’ve added stills of the texturing work I did on “X-Men: Days of Future Past”, the showreel of which has finally been released. The rest of the stills can be found under the “Work: Professional” menu. The rest of the stills can be found under the “Professional Work” menu. A trailer was released for The Martian featuring some of the texturing work I’ve done while at Framestore in London. My work was texturing various modules of the big space-ship. Please visit my “Professional” work page for stills and further info. After my latest 7 month film-texturing stint in London I’ve started updating my website with new images and will add more when they are made available. Updated the Work: Professional gallery and page. Today I’ve started redesigning my website adding new images of my film related work, removing old obsolete images and streamlining the menus. Enjoy your stay and feel free to let me know what you think! Check out the first official gameplay trailer for Sol Contingency, the Descent reboot I’m helping to make! Wargaming.net Golden Joystick Contest won! A while ago the results were finally published and it turns out I won shared 1st place in the Wargaming.net Golden Joystick contest with my design! Additionally my design was also chosen as one of the favourites which makes it all the better. 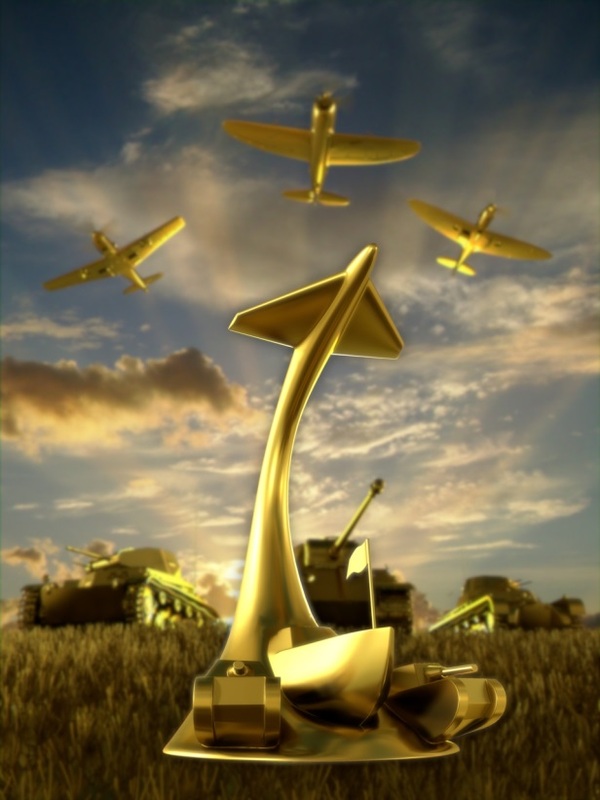 I entered the “drawing” category with my 3D design of an abstract award featuring elements of various featuring in Wargaming games like World of Tanks and World of Warplanes. My design is the one on the bottom right. Posted in Uncategorized	| Comments Off on Wargaming.net Golden Joystick Contest won! I’ve been doing freelance work for Epona Medical for a couple of months now. This work consists mainly of modelling/texturing organs/tissue for their medical Lap-X simulator, but also spans graphic design of promotional materials like banners and brochures.